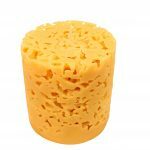 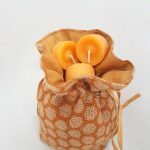 100% beeswax tea lights without aluminium cup. 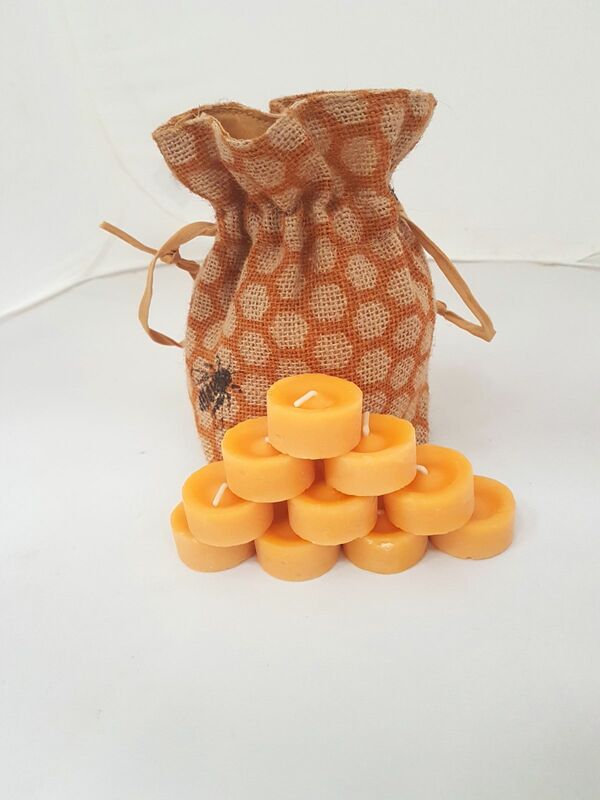 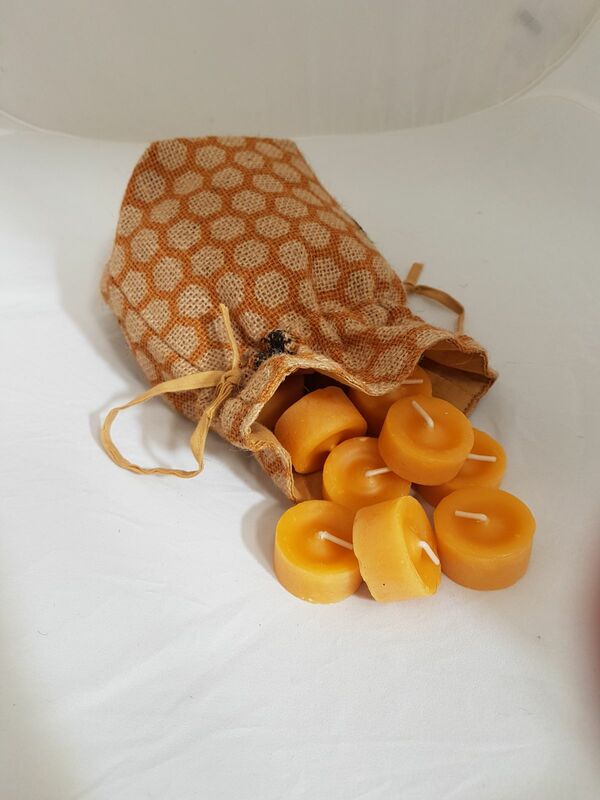 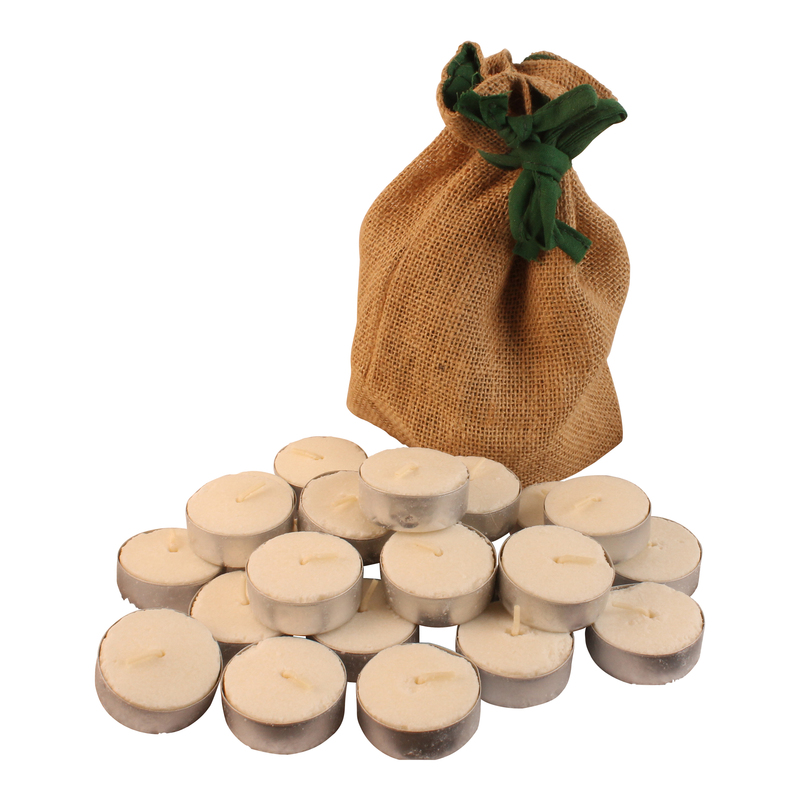 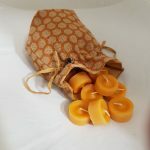 This beeswax tealights pack contains 100% beeswax unscented tea-lights with cotton wicks. 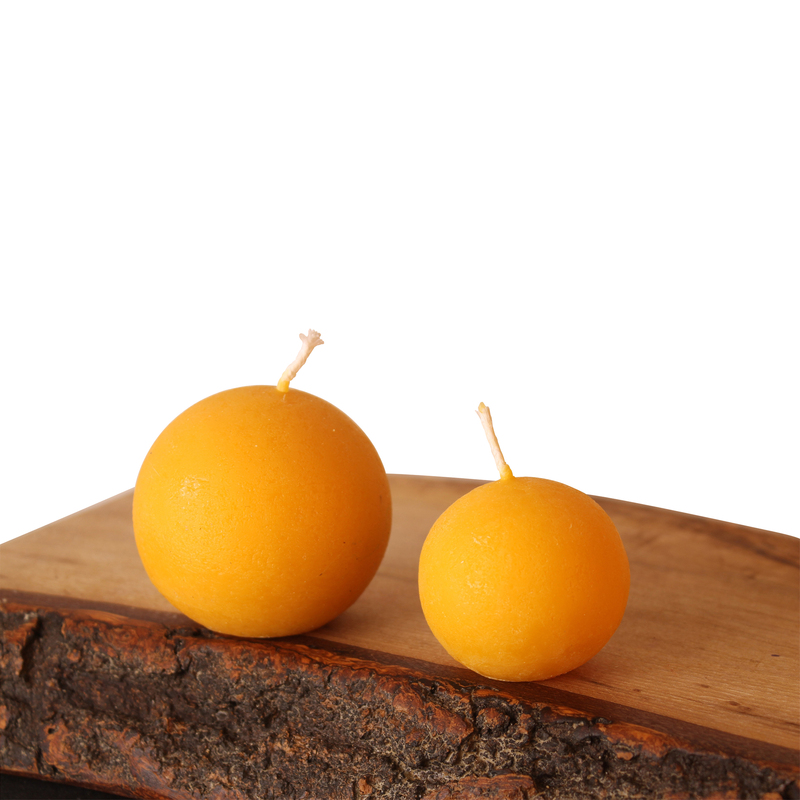 The tealights have a wonderful plain surface – perfect for popping into your favourite tea-light candle holders. 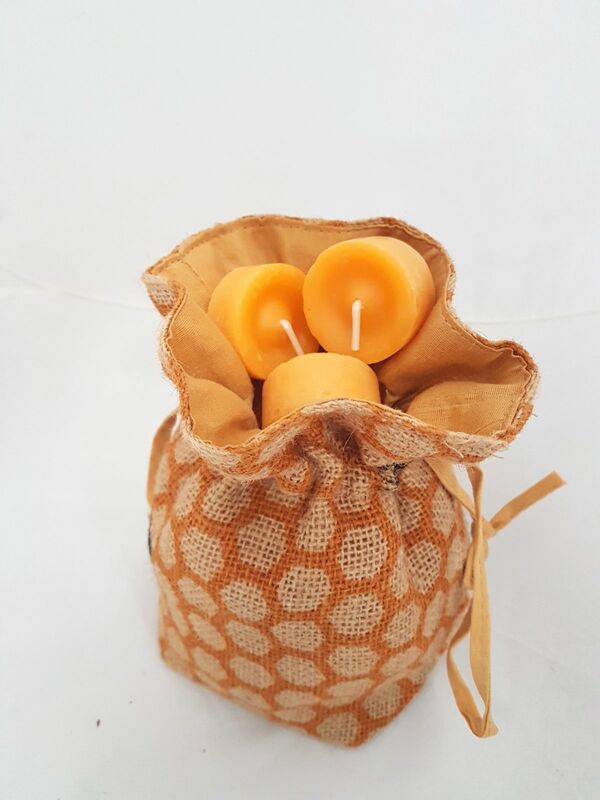 Packed in a lovely ‘bees in honeycomb’ jute bag.